We have released a new website that enables users to input their own data and compare it with the reference data from three isotope systems (Sr, O and S) that characterize the contemporary British biosphere, in order to assess the likely geographic origins of their sample. The data has been derived from the analysis of modern plants and waters and some ancient skeletal material. The method has its roots in archaeological studies of human migration and is used extensively at the NERC Isotope Geosciences Laboratories (NIGL) to, for example, establish the likely place of origin of our ancestors. However, it is likely to be applicable to other research areas, such as forensic and food traceability studies or environmental baseline and pollution monitoring studies. The maps have been constructed from 1km hexagons that contain the data for the different domains and is based on the 1:50K geological and Parent Material maps. The best way to appreciate this is to open the website and have a go; maybe try these examples? Where in Britain might these beans have been grown: 87Sr/86Sr = 0.7087? Which of these people spent their childhood nearest the coast: Individual A: δ34S (VCDT) = 17 or Individual B: δ34S (VCDT) = 5.2? Is this sheep, bought in a farmers market in Kent, really as local as the seller suggests: 87Sr/86Sr = 0.717? Did this Viking Age individual, excavated in Dorset, originate in the UK: δ18O human enamel (VSMOW) = 15.3? Use is free and all data is accessible and downloadable. We would be very interested to hear from potential users about any applications, development ideas or comments they have. This is version 1. We hope to collaborate with users to develop this resource over the next few years. Suggestions for other useful layers would be welcome. The database and map has been created by staff from NIGL (Jane Evans and Carolyn Chenery) and GeoAnalytical and Modelling Programme (Katy Mee, Clive Cartwright and Katy Lee) with web development by Andy Marchant and web deployment by Lina Hannaford. In late December we were successful in obtaining funding through a Newton International Links bid with the British Council. 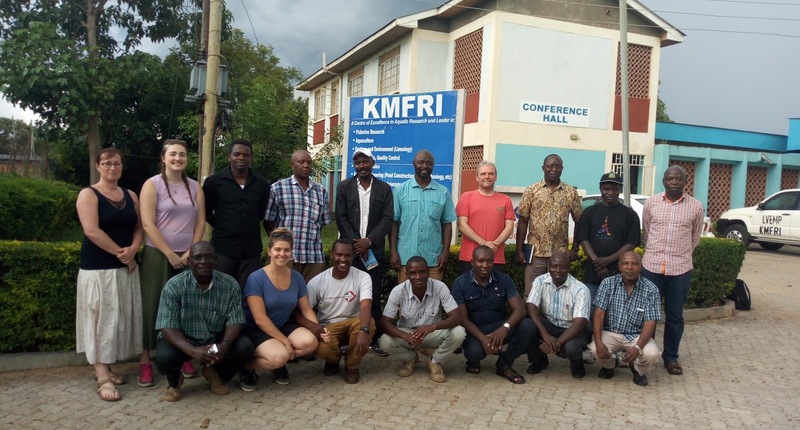 This project aims to investigate problems of food insecurity and the implications of anthropogenic pollutants for food safety, the impact on the health and nutritional quality of aquaculture farmed fish, and the potential of fisheries aquaculture to boost food security and sustainability in Lake Victoria, Kenya. Having been successful in the bid, I was looking forward to working with fish again and using the knowledge gained from my years as a Marine Biologist at Bangor University. The project brings together my experiences working on fisheries aquaculture and from knowledge gained working within the Inorganic Geochemistry team in exploring micronutrients, pollution pathways and the associated problems of food security and nutrition in Aquaculture fish. This collaborative project involves the Inorganic Geochemistry team (IG) at BGS with our old friend Prof Odipo Osano from the School of Environmental Sciences at the University of Eldoret (UoE) with whom we have worked closely for over 4 years. 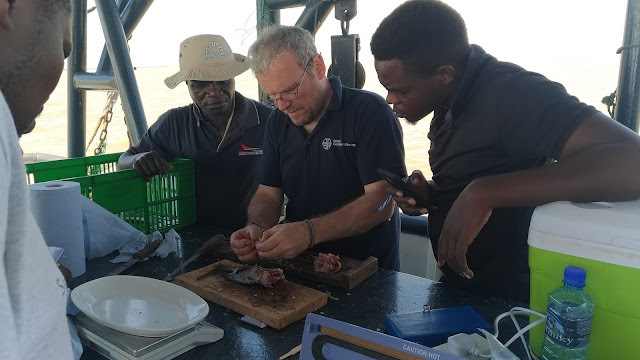 This grant funded project also collaborates with Dr Tracey Coffey and Dr Sharon Egan from the School of Veterinary Science (University of Nottingham), and the experienced research team led by Dr Christopher Mulanda Aura at the Kenyan Marine Fisheries Research Institution (KMFRI) based in Kisumu, Kenya. Stakeholder discussions were hosted at KMFRI headquarters between the project team and aquaculture producers explaining how the project will address questions related to pollution pathways (Food Safety-human and ecological health), through studying problems associated with sedimentation rates in water from erosion, or changes in land-use and water quality, as well as the effects of toxic metals as drivers of antimicrobial resistance (AMR). Expanding on this, and linking to other BGS activities and interests of the Ministry for Agriculture, Livestock and Fisheries, data will be generated to understand the potential for aquaculture to address ‘hidden hunger’ (deficiencies of essential micronutrients for human and animal health). Questions came quick and fast from those attending, with the fisheries-licence holders and the cage-culture representative being extremely interested in what we were intending to do. However, transparency and open talks through public engagements such as this alleviated any concerns they may have had, and their subsequent assistance in locating sites and communicating with local cage managers proved invaluable . Attention turned to the fieldwork, which was based on KMFRIs main research vessel R.V. Uvumbuzi (Discovery) based on the Winam Gulf in Kisumu. This allowed us direct access and quicker travel between sampling sites within the Winam Gulf to view and sample the intensity of aquaculture cages along the shores of Lake Victoria (Kenyan side). Cage sizes ranged from a few meters (2x2) to the medium 6x4 meters up to the larger 20x20 meters and housing fish from a few thousand to over 20,000 for the larger 20x20 m cages. Most of the fish (Tilapia) are sold at local markets after growing for 6 months (plate size) or in the case of the larger cages (>10m) sold to merchants after growing for up to 8 months for re-sale as fillets..
Involving the representative for the aquaculture operators in the stakeholder meeting hosted by KMFRI, provided invaluable as they were able to help in the design of sampling locations, and assist in gaining the trust and co-operation of the managers of each cage site. With the local manager informed in advance of our visit, sampling fish from both within the cages, and from the wild went smoothly and efficiently. Sampling involved all the experience of the project team. 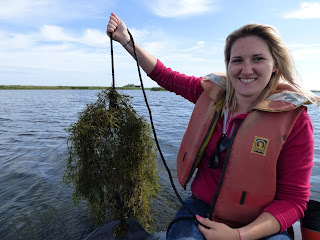 Water parameters such as pH, temperature, conductivity and dissolved oxygen were measured either directly from the vessel or from the small canoe brought along for closer inshore work. After measurements of the water were obtained, the process of collecting water samples from just below the surface (approx. 1m), and from depth, was completed using a niskin water sampler system. The collected water was then filtered using 0.45 um filters. Water samples were observed to be slightly discoloured around the shores of Winam Gulf which is a possible indication of high sedimentation rates from land erosion. This colouration cleared when we moved further out to the main channel at Rusinga in the Lake. Finally the collection of a sediment sample was taken using the Van Veen Grab Sampler for both biogeochemical analysis in the UK, and benthic microbiological analysis by the team at KMFRI. Most of the sediment collected near the Winam Gulf area near the shore had a strong H2S aroma indicating possible eutrophic conditions in that area. Photograph of Andy Marriott sub-sampling muscle tissue. Fish were sampled both from the cages and also where possible from the wild, using fish locally caught by the local fishermen. Fish were processed on board the R.V. Uvumbuzi, and measurements were taken to record the biological data. Finally sub-samples of muscle tissue were taken and vacuum sealed for subsequent analysis of trace metals, and tissue for DNA extraction and Anti-Microbial Resistance studies. After 3 long days working on the Lake, the water, sediment and fish tissue samples were finally off-loaded from the RV Uvumbuzi and transported to the School of Environmental Sciences (University of Eldoret). Here sediment samples were partially dried and excess water removed for transportation back to the Inorganic Geochemistry labs in the UK for ICP- MS analysis. Similarly, fish tissue will be measured for trace metals and DNA and AMR analyses at the School of Veterinary Science (University of Nottingham). Water, fish tissue and sediment geochemistry data in addition to on-going studies by UoE and KMFRI will help to identify possible pollution pathways from anthropogenic activities, and sediment loading from erosion or changes in land-use for design of further investigation in the Winam Gulf and shores of Lake Victoria. Bio-geochemistry data from this and subsequent investigations will be invaluable to KMFRI in advising on the future siting of aquaculture cages to ensure food safety for human and ecological health. Given that ‘wild’ fish catches are unsustainable in Lake Victoria, aquaculture/farming of fish through sustainable methods is an important approach to food sufficiency and in addressing ‘hidden hunger’ along the shoreline of Lake Victoria and further inland. I would like to thank the Newton International Links programme and the British Council for funding the project. I would also like to thank the BGS-ODA programme and Center for Environmental Geochemistry for financial support and technical expertise. Understanding subsurface methane dynamics is something that is going to become increasingly important to several areas of BGS, especially with ongoing developments with UKGEOs and groundwater monitoring projects in the Vale of Pickering, North Yorkshire and Fylde, Lancashire. 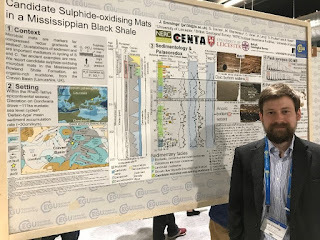 One of the most promising tracers for understanding methane sources in groundwater is duel isotope analysis of the dissolved gas. Most surface methane is produced by methanogenic bacteria within the near subsurface, large isotope fractionations are associated with this process lead to very negative isotope values for both carbon and hydrogen (δ13C –70 to –110‰; δ2H –160 to –340‰). Thermogenically produced methane on the other hand is formed by the thermal decomposition of kerogen, a process which is normally associated with isotope values of δ13C between –20 to –50‰ and δ2H between –110‰ to –250‰. These differences allow us to provenance where methane collected during monitoring projects was formed and start to understand potential migration pathways within the subsurface. Whilst this dual isotope tracer technique has been undertaken many years, traditional systems require very labour intensive/ expensive sample clean up and preparation methods. This has meant that the number of samples that can be analysed has been very limited for most studies. 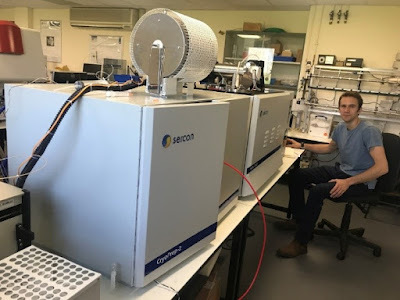 To overcome this limitation staff at the stable isotope facility and Sercon Ltd embarked on a joint innovation project to develop a sample preparation and mass spectrometer system which is capable of running far greater numbers of samples at a reduced cost. The developed instrument is now on site at the BGS and is being put through its paces. Once the system is fully functional it will be able to analyse large numbers of samples at very high precision. This will be ideal for baseline investigations at a number of BGS research sites and should help us identify if subsurface activities have any impact on methane release into aquifers. There are many other potential applications for this instrument, if you think you may have an interesting application for this technique get in contact with me andrews@bgs.ac.uk. Ola! (there that’s the first word!) Towards the end of April I was lucky enough to travel the 6000 or so miles to Brazil to take part in the 6th Global Stone Congress in the coastal resort of Ilhéus in the north-eastern state of Bahia. En route (Nottingham – Heathrow – Sao Paolo – Ilhéus) I met some other delegates who quickly became my new best friends and were pretty much in the same boat as me (in the sense they were new to this, not an actual boat). Thirty hours after leaving home I arrived at the conference venue, the Jardim Atlantico Beach Resort in Ilhéus, approx. 800 miles NE of Sao Paolo. The Global Stone Congress has been held every few years since 2005, when it was first held in Brazil as the International Congress on Dimension Stone. The objective is to gather internationally renowned natural stone experts in order to share knowledge, promote technical cooperation and discuss the latest advances in the industry. Since 2005 it has travelled to Italy (2008), Spain (2010), Portugal (2012) and Turkey (2014). The 2018 congress attracted 165 delegates from 11 countries – 70% from Brazil with the remainder mostly from Portugal, Italy and Spain, and a small representation from Chile, the Czech Republic, Finland, Iran, Saudi Arabia, Sweden and one from the UK (me!). For my part, I gave a presentation on ‘Dimension stone in the United Arab Emirates’ – the UAE is an important market for natural stone in the Middle East and is one of the largest importers per capita in the world. It also has the potential to produce its own natural stone. It has mountains of limestone resources equal to that imported from neighbouring Oman. 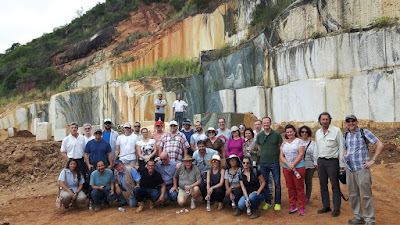 After the conference, we spent a couple of days visiting dimension stone quarries, which turned out to be a very long way from Ilhéus! The state of Bahia it turns out is twice the size of the UK, with a quarter of the population. The blue granite of Potiraguá is a sodalite-rich syenite worked as a dimension stone by Somibras and marketed as ‘Azul Bahia’. This is probably the most famous naturally blue stone from Brazil. I have come across it in use in the new terminal building at Dubai International Airport. The Precambrian Macarani pegmatite is hosted in a metavolcanosedimentary sequence of banded and strongly folded biotite paragneiss. The pegmatite is mostly coarsely crystalline feldspar and quartz often displaying graphic texture, with occasional crystals of aquamarine and beryl. Both the pegmatite and host rocks are worked as dimension stone by Ouro Campo. An important phrase to learn for those tea drinkers out there: chá com leite frio, por favour or tea with cold milk please (not that you will get black tea of course, you’ll need to take that out with you I learnt!). The congress social programme introduced me to the three C’s: Caipirinha (the Brazilian national drink), Capoeira (a form of mock-fight dancing) and Cerveja (beer of course, I knew that one as I am a geologist after all!). 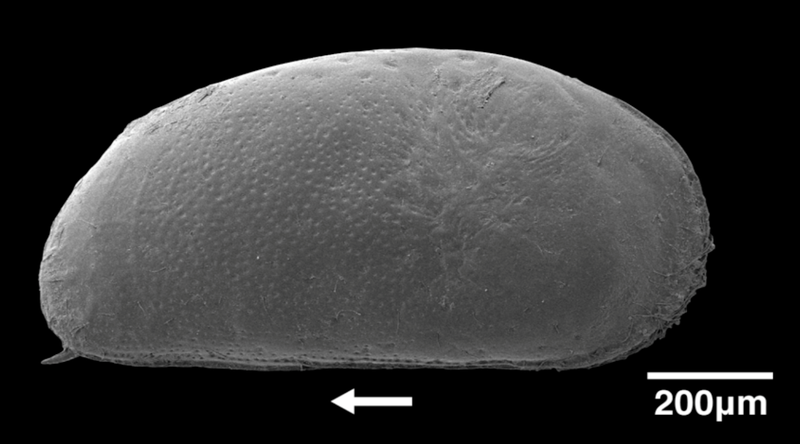 To obtain the most accurate reconstructions of past conditions, the ostracod shells must be cleaned of mud and/or remaining parts of their internal limbs. There are, however, a range of methods used across different laboratories. All the methods used have been proven to effectively clean the shells, but until now it has not been clear if the methods are also removing parts of the shell surface and causing an alteration to the trace element and/or isotope signal that is preserved in the shell. Alongside the BGS stable isotope laboratories, we designed an experiment to test this using a range of cleaning methods. For isotopic work, cleaning was performed using chemical oxidation, vacuum roasting and plasma ashing; for trace element work we used sonication, chemical oxidation and reductive cleaning. These methods were compared to simple ‘manual’ cleaning using a paint brush to remove visible material. Cleaning methods were compared by undertaking analyses on a single ostracod carapace (two separate ‘valves’, similar to a mussel, which together form the ‘shell’); in modern ostracods, the two valves should have identical trace element and isotope ratios. One valve was cleaned using one of the methods above, and the other was manually cleaned using a paintbrush. Any difference between the two valves after cleaning could be assigned to the effect of the treatment method. We found that some cleaning methods have the potential to cause alteration to the signal and can therefore affect the values obtained for climate reconstructions. For trace element reconstructions we calculated that reductive cleaning can alter the Mg/Ca temperature reconstruction up to −12°C and the Sr/Ca conductivity reconstruction up to +4.5 mS cm−1 by removing parts of the surface of the shell. 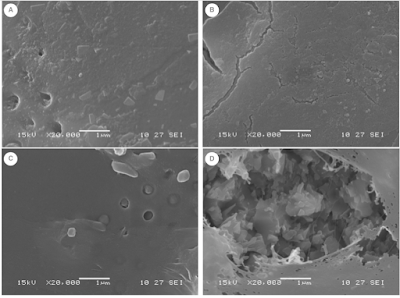 Isotope-based reconstructions are less affected by the cleaning method. However, the concentration and length of exposure to chemicals was an important factor in the extent of alteration. treatment affecting the shell (B). To establish a universal method which allows comparison between reconstructions, we recommend sonication for trace element analysis and oxidation by hydrogen peroxide for stable isotope analysis. We believe these methods are effective at cleaning the shells, but do not significantly alter the signal preserved in the shell. For more information on the study and the recommended methods, the open access paper is reference is: Roberts, L.R., Holmes, J.A., Leng, M.J., Sloane, H.J., Horne, D.J. Effects of cleaning methods upon preservation of stable isotopes and trace elements in ostracod shells: Implications for palaeoenvironmental reconstruction. Quaternary Science Reviews, 189, 197-209. The paper can be download for free here. The world is gradually turning to renewables, such as wind and solar, as the main source of energy. This is great news for the environment, particularly for reducing greenhouse gas emissions. Yet all sources of energy, such as natural gas, nuclear energy, but even renewables, have pro’s and con’s. The expansion of renewables and batteries used to store this ‘green’ electricity is increasing the demand for metals, such as Co and Ni. These will need to be mined somewhere in the world. Renewables cannot entirely replace the demand for hydrocarbons, either. For example, hydrocarbons are used as fertilisers and gas central heating in UK households, will be difficult to replace. So the transition to renewables must proceed now, but gradually – if it is done too quickly, the environmental and economic costs are large. It is in this context that locally extracted natural gas is potentially a ‘bridge’ between coal, oil and gas and sustainable sources of energy. In a global context, locally extracted gas is preferable over imported gas, because in the UK we have strict regulations which protect the environment, and the fugitive emissions by long gas pipelines is significant. The method of extracting natural gas from shale, hydraulic fracturing, is contentious. Yet much of the science that informs our understanding of the pro’s and con’s of this technique has not been conducted. 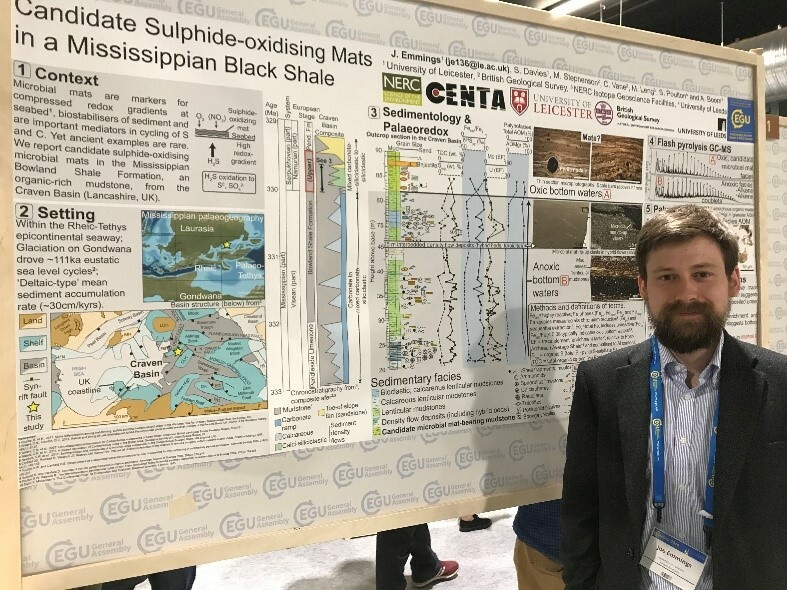 I have been and will be continuing to work on the science that contributes to this debate, by shedding light on the composition of black shales in the UK that are of interest to exploration companies. On a microscopic scale, black shales are incredibly varied. No two shales are the same; the amount of gas stored in the rock varies substantially. This ultimately comes down to the environment of deposition – in other words – what did the environment look like millions of years ago? Through my PhD research, we know Mississippian black shales in the UK were deposited in shallow seaways. 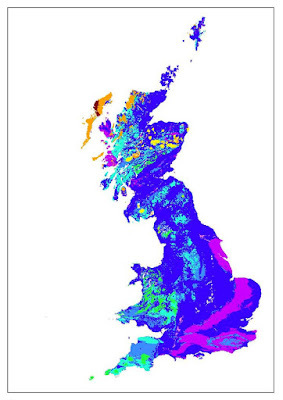 By studying the geochemical composition of UK black shales, we know these were deposited in seawaters that lacked oxygen (termed ‘anoxic’), an environment that is similar to the modern Black Sea. Understanding when and how seawaters became oxygenated is important for understanding the amount of gas that is now trapped in the shale. The geochemical proxy record also shows that seawaters were also rich in hydrogen sulphide (H2S), a gas that is highly toxic to aerobic organisms. H2S is produced when other ‘electron acceptors’, such as oxygen, are absent. Anaerobes that live in the water instead respire using dissolved sulphate (SO4) and produce H2S as a product. This means UK black shales contain lots of pyrite (FeS2, ‘fools gold’) and are enriched in many ‘redox-sensitive’ metals, including Co and Ni. So black shales in the UK may represent an important resource of metals, which are used in renewable technologies, and this is something that I will be looking at.